Hurstpierpoint College was established in 1849 as a Grammar school, but grew rapidly in the 1850s with the erection of extensive school buildings and the chapel. 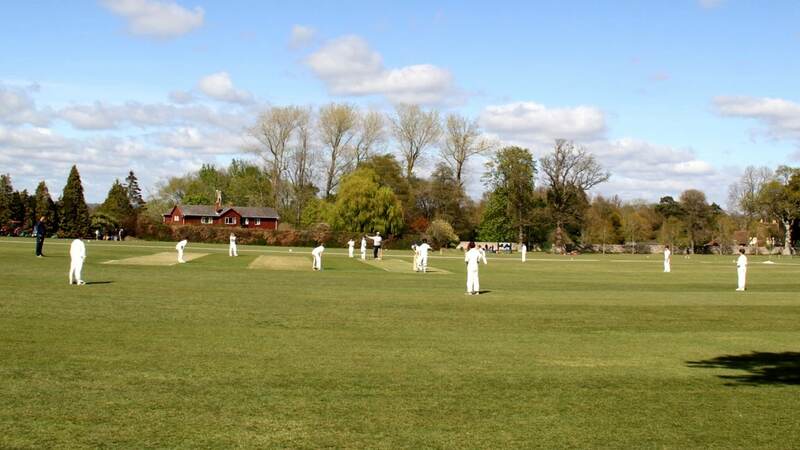 The cricket ground at Hurstpierpoint College is in a pretty tree-lined setting surrounded by other sports fields on three sides and overlooked by the College chapel, with a charming brick-and-timber pavilion. Sussex Martlets plays at a range of grounds across the season and this is Stragglers’ first visit to Hurstpierpoint.